If you just want the fun and challenge of holding the reins for a country drive, we will happily arrange it. But be warned, this innocent bit of fun may persuade you that driving the fields, woods and lanes of the Surrey Hills AONB, is a glorious experience and well worth the effort of acquiring the necessary skills. In which case you will want to learn more. What you will need are carriage driving lessons, Surrey Hills style. First you will harness your horse and put him/her to the vehicle or you might prefer a shorter taster session with a ready harnessed horse. Novices will begin with a single horse. More experienced carriage drivers may want to progress to a pair or may want help with a particular skill or horse. I can train your horse for driving either as a day pupil or boarder. Come alone for concentrated one-to-one tuition. Come with a friend – between you, you may well remember more. Use our horses and vehicles or bring your own. 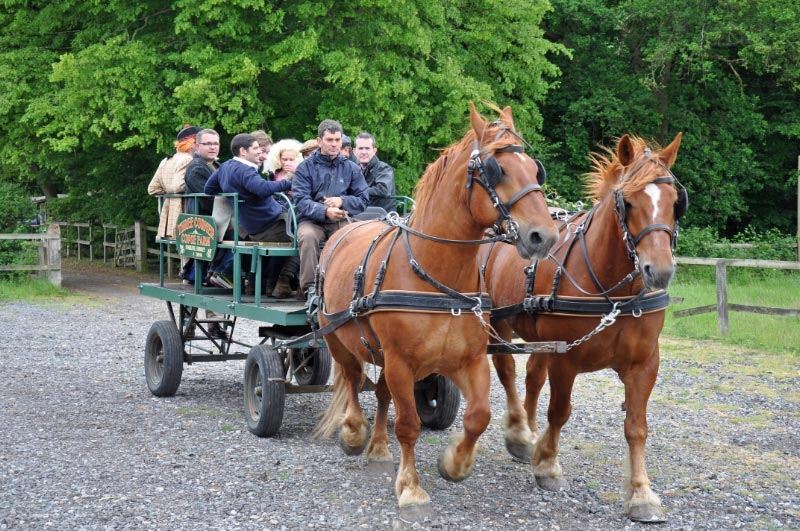 Please contact Daniel for prices and availability for carriage driving lessons, in the Surrey Hills. Please note we also sell gift vouchers, which make the perfect present.